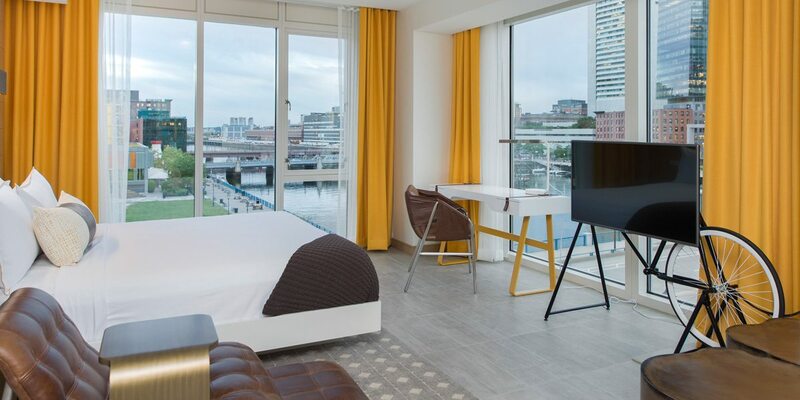 Embodying the trailblazing spirit of Boston’s newly coined “Innovation District”, The Envoy Hotel opens it’s doors as a bold and welcoming host in the seaport district. 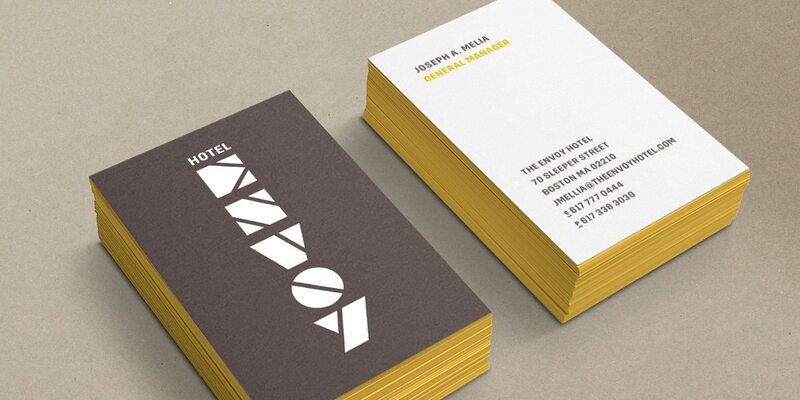 Korn Design, working closely with ownership and the management team, led the evolution of this property, pioneering an immersive brand experience true to the Envoy’s abiding watchwords, “This Way Forward. ” Serving as both a rally cry for the creative community it serves, it simultaneously calls out a welcoming cry to the inspiring neighborhood it calls home. 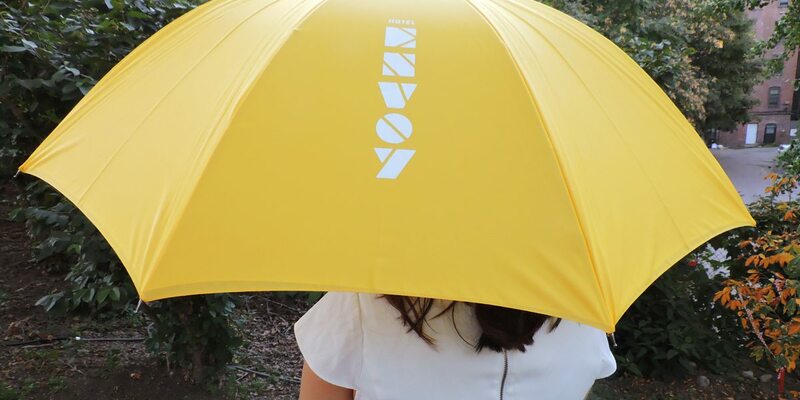 As an “envoy” or emissary of this creative and cutting-edge innovation district, The Envoy stands as a beacon for locals and travelers alike who are seeking what’s next. 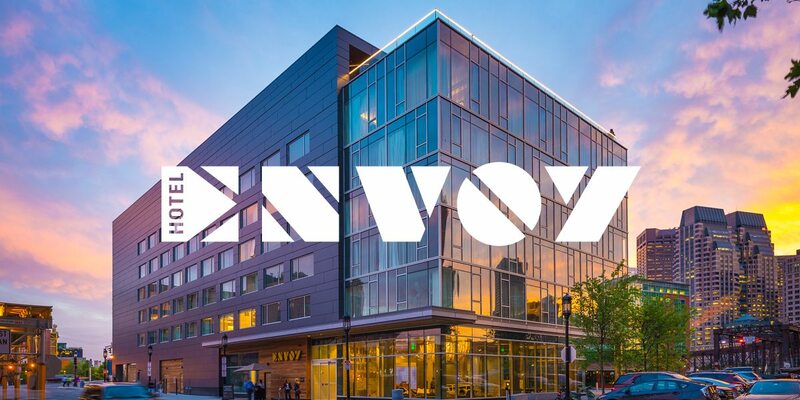 Drawing from the intriguingly intimate scale and siting – small but elegantly mighty with tremendous views towards Boston’s skyline – the brand evolved to embrace this optimistic new place and signal change in the evolving city, bringing a fresh point of view. Collaborating closely with Group One Partners architects and interior design team throughout the project, the brand experience and the interiors are in sync. Speaking to materiality, simplicity and a play between the gritty, industrial texture of the active seaport and the shining glass, steel and polished surfaces of the building itself. 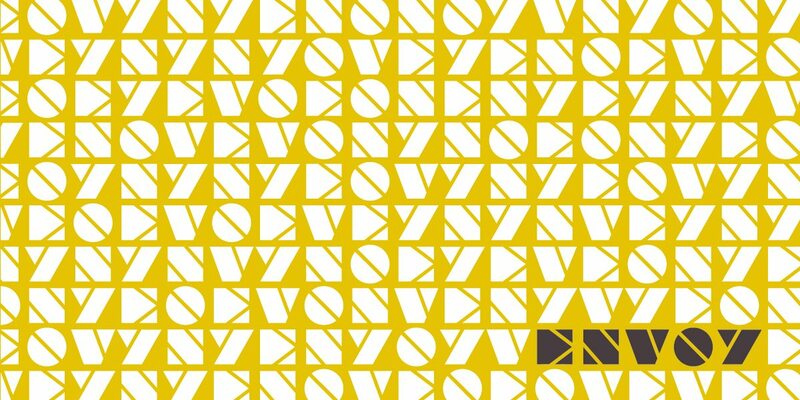 The brand identity is confident yet quirky – intentionally playful and handcrafted– utilizing basic shapes as letterforms that nimbly twist and turn like innovative leaders in today’s world. Delivering multiple meanings, its combination of shapes and forms tip their hat to technology, inspired by both art and code in a variety of ways. 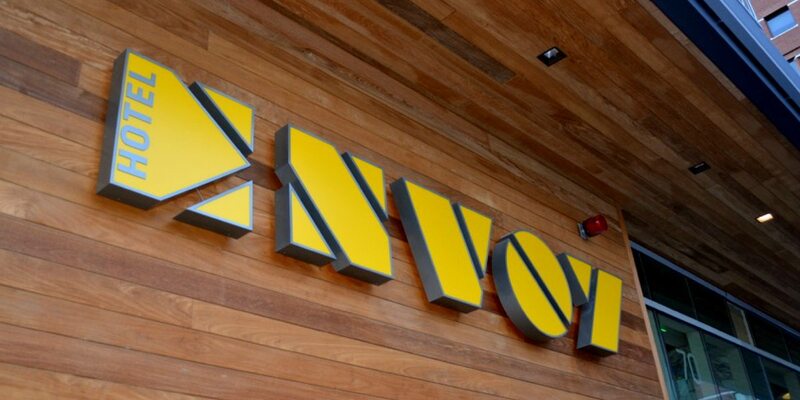 The warm yellow accent, distinct to The Envoy Hotel brand pallette, dances throughout the environment, signage, guest rooms and amenities as a happy and positive pop that echoes the upbeat nature of the property, what it stands for, and who it serves. 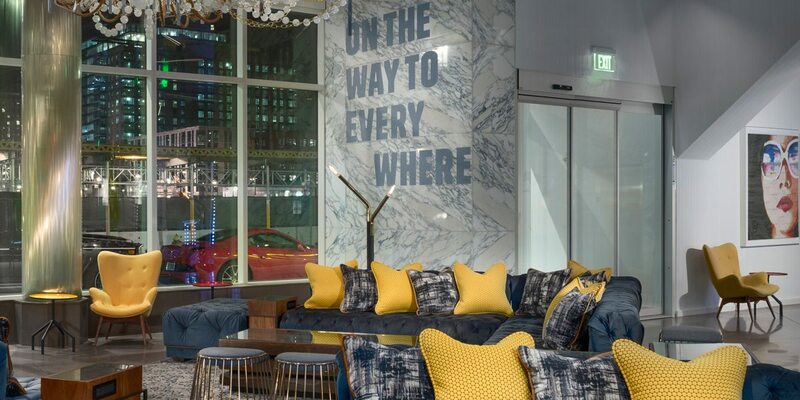 Messaging has been intentionally embedded in both grand and intimate scale into architectural elements, so that it may speak to visitors as they inhabit the hotel’s spaces: “This Way Forward” greets all who cross the hotel’s threshold . . . “On The Way to Everywhere” is boldly carved into the lobby’s marble-clad walls. 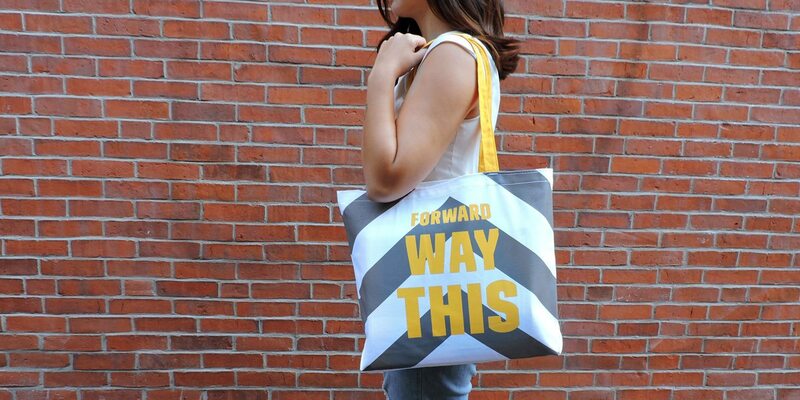 Elsewhere, words emblazen handcrafted surfaces, fixtures and furnishings. Floor-to-ceiling photographic seascape horizons provide the scene as guests travel upward in the elevators, cuing the constant ebb and flow of this place and it’s perch looking outward. 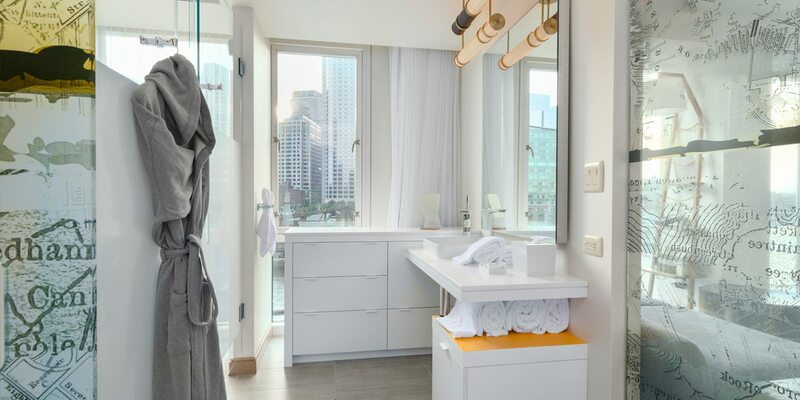 In-room, the brand sings through sculptural objects such as the custom- designed TV bike stands and riveted luggage stools that carry messaging to marry form and function – in a room designed with the efficiency of a fabulous sailboat. The effect is much like being front-and-center on the bow with views that state this is the heart of the action set on the buzzy Boston harbor. The journey is made perfectly comfortable with accessories like thick fleece-lined sweatshirt hooded robes, a selection of local Billy Boy spirits, snacks and bath amenities from Boston-born Fresh. 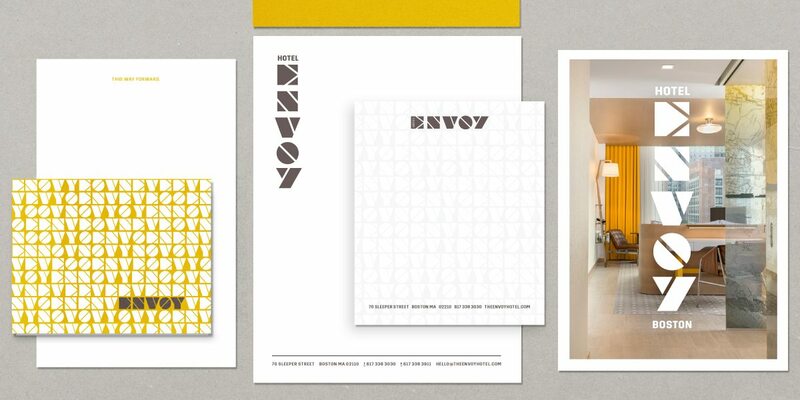 From room to fabulous rooftop perch, The Envoy Hotel is wholly original, a gathering place for kindred spirits—home to the soulful side of hospitality, and perfect for those who live out loud wherever it is they go . 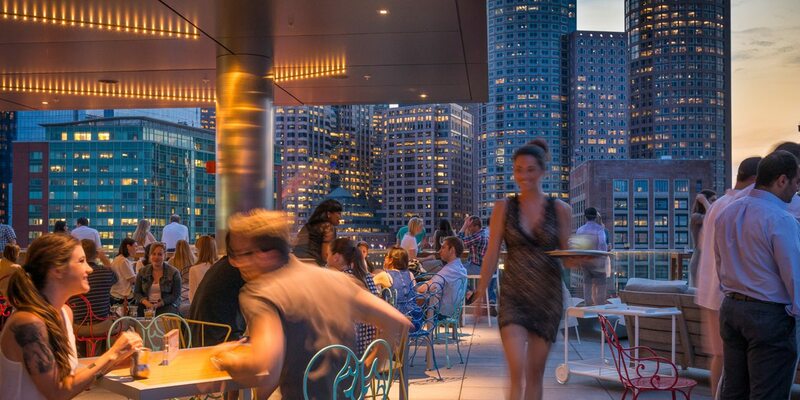 . . a gleaming light on the emerging Boston landscape.